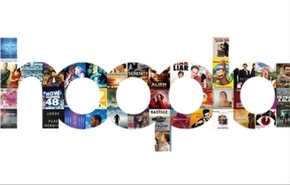 STPL offers a streaming service called hoopla that lets library card holders check out and download or stream movies, TV shows, music albums, eAudiobook, eBooks and digital comics. Patrons can borrow up to five items a month with no waiting for items to become available. Thousands of titles from Hollywood studios, record companies and publishers are available for check out and they return automatically so there is never a late fee. Movies and TV shows check out for 3 days. Music albums are available for 7 days. eBooks, eAudiobooks and digital comics check out for 21 days. visit www.hoopladigital.com or download the hoopla app to you Apple or Android device. Choose St. Tammany Parish Library from the options shown. Enter your library card number. Enter a valid email address and a password you would like to use for your hoopla account. Browse through titles by choosing Browse in the header of the website or video, music or books in the footer of the app. You can also search for a specific titles. To borrow a title, click on the title's icon and click the borrow button. Your borrowed items can be found in My Hoopla section. To download the borrowed item to your device, click download to your device. If you want to stream the title, click play. Be advised that streaming will use data from your carrier's data plan if you are not on wifi. Borrowed titles will be automatically returned at the end of the lending period. For help, please read Hoopla Help. Should you need additional help, call or email a reference librarian or book a time to work with a librarian in person. What downloadable services are offered? You have several options for downloading ebooks. What’s the difference between the services? Do I need special software or devices to download ebooks and other digital content? How many eBooks and eAudiobooks can I check out at a time? How long is the lending period? Can I return my ebooks or other digital content early?